Our guide to Fort Worth will help you find the best budget hotels in Fort Worth Texas. Dallas and Fort Worth, separated by 30 mi of suburbs, aren't exactly twin cities -- they're more like cousins who squabble more than they get along. Their roots are different, yet intertwined. Dallas has almost always been a center of trade, built on the ideals of capitalism and progress -- and great leaps of faith. Fort Worth's prosperity was established when the town became a stop on the Chisholm Trail, and continued when the city became a major railhead. The cattle that were herded through town more than a century ago still define the city, and its nickname, "Cowtown," persists. Fort Worth doesn't exactly shun development, but its growth has been slower. The city and its people are more deliberate, mindful of the western legacy forever shaping their identity. That's not to say this is a town of simple country folk -- Fort Worth's Cultural District houses world-class art, showcased in architecturally significant buildings. There are tons of great budget hotels in the city of Fort Worth, our city guide will help you find the best budget hotels. You may have a hard time deciding what to do in Fort Worth, but we make your decision easy. 13400 N Fwy, (817) 750-7000 - Residence Inn Fort Worth Alliance Airport is a budget hotel / motel / resort located in Fort Worth TX. 14320 Centre Sta Dr, (817) 698-9595 - Holiday Inn Dfw South is a budget hotel / motel / resort located in Fort Worth TX. 1505 S University Dr, (817) 335-2000 - Fairfield Inn Fort Worth University Drive is a budget hotel / motel / resort located in Fort Worth TX. 1701 S University Dr, (817) 870-1011 - Residence Inn Fort Worth University is a budget hotel / motel / resort located in Fort Worth TX. 201 W Loop 820 N, (817) 246-8777 - Best Western Fort Worth Inn is a budget hotel / motel / resort located in Fort Worth TX. 2200 Mercado Dr, (817) 831-9200 - Book Direct and Save All of the rooms at the Country Inn and Suites are designed for comfort; we feature "Serta" pillow top mattresses along with "
2500 Museum Way, (817) 885-8250 - Residence Inn Fort Worth Cultural District is a budget hotel / motel / resort located in Fort Worth TX. 3232 SE Loop 820, (817) 551-5200 - Comfort Inn Forest Hill is a budget hotel / motel / resort located in Fort Worth TX. 3250 Lovell Ave, (817) 878-2554 - SpringHill Suites Fort Worth University is a budget hotel / motel / resort located in Fort Worth TX. 3261 NE Loop 820, (817) 232-1622 - Extended Stay America is a budget hotel / motel / resort located in Fort Worth TX. 3541 NW Loop 820, (817) 744-7755 - The Holiday Inn Express Hotel & Suites Lake Worth on Highway 820 in north Fort Worth is a brand new elegantly designed Express. 3701 NE Loop 820, (817) 232-5700 - Fairfield Inn Fort Worth Fossil Creek is a budget hotel / motel / resort located in Fort Worth TX. 3701 Tanacross Dr, (817) 834-7400 - Homewood Suites Ft. Worth is a budget hotel / motel / resort located in Fort Worth TX. 3720 Tanacross Dr, (817) 222-1919 - Budget Host is a budget hotel / motel / resort located in Fort Worth TX. 4200 Reggis Ct, (888) 897-0084 - Candlewood Suites Dfw South is a budget hotel / motel / resort located in Fort Worth TX. 4526 E Belknap St, (817) 831-9100 - Scottish Inn is a budget hotel / motel / resort located in Fort Worth TX. There are plenty more budget hotels in Fort Worth. 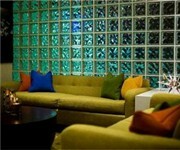 See all budget hotels in Fort Worth Texas.